Help! Someone has just been poisoned by a pesticide. First aid needs to be provided right away since minutes can count when a poisoning has occurred. Anyone that works or lives on a farm needs to be especially aware of these signs and symptoms of a pesticide poisoning. This can get tricky, but, since symptoms can vary from one person to another. They may show up immediately or not occur for several hours after the exposure to the toxic chemicals. As you can see, many of these symptoms are vague and can be seen in many common illnesses like colds or flu. The main thing to note when you come across a person exhibiting these types of symptoms is whether or not they have been exposed to toxic chemicals recently. In these types of emergency, you’ll need to act instantly whenever a pesticide poisoning is suspected. 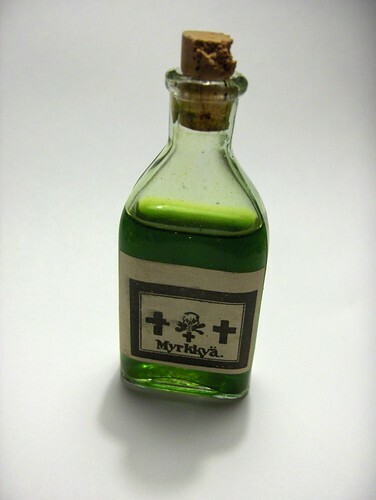 In some cases the faster you act may decide the ultimate consequences and effects of the poisoning on the person. Before swinging into action, make sure that you are protected against these toxins as well. You aren’t going to be any good to anybody if you end up getting poisoned yourself! Call emergency services and a poison control center. If the container with the poisonous substance is nearby, grab it so that you can let the poison control center know what the poison is. They can then look up the types of chemicals it contains and this will determine the course of action that is needed. Sometimes there will be instructions on the container letting you know how to proceed if an accidental poisoning should occur. If you don’t have the container handy or if there are no instructions listed, it’s best to not do anything on your own. Wait until a professional tells you what to do. In some cases the action that you take can cause further harm to the patient involved. Try to keep the patient calm and comfortable while you’re waiting for emergency services to arrive. Follow the instructions given by professionals or found on the label of the container. The faster you act when a pesticide poisoning has occurred, the better the chances are for a fast recovery for the person that has been poisoned. Jessica Josh is a blogger and freelance author. Since ‘07 she has been creating great content on home and garden, going green, pest control and articles about Advanced Pest Management.